The Island Bowls team is facing an uncertain future following the collapse of Citywing. 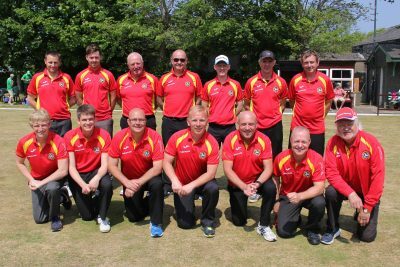 The Isle of Man County Crown Green Bowling team has been competing at the highest level in the UK for the past two years and is set to play their first county match of the season in May against Yorkshire. The county matches consist of home and away ties involving two 12-man squads. One squad travels to the away green, while the local team hosts 12 visiting players from the opposition. In the past, the IOM team has chartered a 19-seater Citywing plane, which flew the IOM team to the UK and returned with the visiting bowlers. An early-evening departure took visiting bowlers back to the UK and then returned with the away squad. This arrangement has worked well and was set to continue this year, however, the collapse of Citywing means that Manx bowlers have fixtures in May, June and July but no transport to take them. 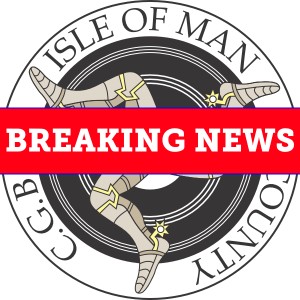 The current timings of scheduled commercial flights means that travel off island and return cannot happen in one day – a requirement of the IOM’s inclusion in the County Bowls set up. The organization committee have worked tirelessly to come up with a logistical and financially suitable solution however we haven’t found one yet. We only have a short time before a decision needs to be made to withdraw or have an alternative plan so if anyone knows is in a position to help we’d be happy to speak with them. The final set of fixtures took place on Saturday to bring the Manx Petroleum sponsored Outdoor Winter Bowls League to a conclusion in a season that saw all the games played as scheduled, something that has not occurred in the 10 years I have been involved. Two of the sides in action had final league positions to play for, one of them fighting to move away from bottom place, whilst the other needed enough points to secure third. Having missed out on the chance of a ninth title the previous weekend, Unstopabowls were now set to clinch third spot and they began the afternoon with a 13-point margin success over Erin Porters who couldn’t improve on seventh. Next up the victors took on Bits n Bobs, who themselves needed to score well above average to move ahead of Castletown Cannons, but Unstopabowls inflicted a heavy defeat, which saw the basement side trailing home on a total of just 87. This left the Bits outfit needing an almost perfect result in the final fixture of the 2016-17 campaign and they put up a good fight against Porters, but fell short of their target by eight points, much to the relief of Cannons, as they have held that bottom position for the past two seasons. Match details (Bits first): Dot Mylchreest 19, Derek Cadamy 21; Geoff Mayles 21, Lynda Cadamy 14; Gill Morgan 9, Caroline Whitehead 21; Andy Morgan 20, Derek Allen 21; Allan Kennaugh 18, Bernard Thackrah 21; Sam Stannard and Tim Williams 21, Voirrey Curphey and Chris Dent 15. <strong>Bits n Bobs</strong> 108 (2), <strong>Erin Porters</strong> 113 (4). Remaining results for Saturday, March 4: <strong>Erin Porters</strong> 100 (2), <strong>Unstopabowls</strong> 115 (4); <strong>Unstopabowls</strong> 115 (5), <strong>Bits n Bobs</strong> 87 (1). As mentioned in an earlier report a few weeks ago, the introduction of doubles into the league games brought a new challenge, not least to the team captains who had to make the choice of who was to take part. A look at the points scored over the winter shows it went in order of the league table for the top three – Lakers 451, Seven-Up 442 and Unstopabowls 431, a margin of 20 between them, whereas the league had 35. Then things change, as next are seventh placed Erin Porters on 410, Louie’s Angels 398, Outsiders 388, Bowl Rollers 385 and Parkers back on 365. Govags on 345 occupy ninth in both tables, and are followed by Bits n Bobs with 338, ahead of the two Castletown teams – Corkers on 306 and finally Cannons with 297. This Saturday the club championship takes place, with an entry of over 40, and at the time of compiling this it is not sure if the competition will be over one or two days – as always the weather will be the determining factor. With the annual prize presentation afternoon not far away on Sunday, March 19, which will include the best versus the rest encounter, the final two team merit winners have been decided, and they are Glynn Hargraves (Unstopabowls) and Bernard Thackrah (Erin Porters). Two round robin sessions took place either side of the league games, with the midweek gang of 37 enjoying a busy afternoon from which Barbara Young and Doug Allan won the doubles ahead of Philippa Taylor and Jean Thackrah in second; with Vicky Lloyd-West and Peter Kelly third. The triples were equally as tight at the top end, with the winners being Julie Reilly, Janet Monk and Rita Callister, in second were Steve Parker, Ken Karran and Derek Clarke; with third spot being taken by Allan Kennaugh, Bernard Thackrah and Tom Wilson. Sunday’s session had a much smaller group and the doubles victors were Sam Stannard and Alan Moore, followed by Caroline Whitehead and Rita Callister; whilst in the triples Derek Allen, partnered with Steve and Jenny Moore took the spoils, ahead of Steve Parker, Marg Tasker and James Teare. Last season was dominated by teams from the south of the island, with Port St Mary looking unassailable in both leagues, Castletown winning the Jean Kelly team handicap and Port Erin the JMS Shield. At the end of the season it looked as though Onchan would be unable to field a team in the night league for this year, but everyone is delighted to hear that they have been able to put a team together. Rumours abound of players changing clubs so it will be interesting to see who is playing where when the season gets under way and how this affects the league dynamics. Also, of course, we will find out who has had their “60<sup><span style=”font-size: small”>th</span></sup>. Birthday” during the winter ! In the C Tarleton Hodgson sponsored night league, the main threat to Port St Mary would appear to come from Castletown and South Ramsey who were very closely matched in the battle for second and third in the last campaign. There are rumours of comings and goings for the champions – it will be interesting to see what effect the changes have. Further down the table there are a block of teams, led by Noble’s, who are always evenly matched – could on of them come out of the pack and cause an upset ? Marown should be strengthened by their imports, and Mooragh Park will be improving each year as players gain more experience. It waits to be seen which players Onchan will have, but it is good to see them still there. The Trend sponsored Over 60’s league saw Port St Mary A almost in a league of their own, but the closely matched pack, Peel, Castletown, Port Erin and Onchan, in the minor places may contain a surprise package In the nether regions of the table, Breagle have the ability to cause an upset in any match, while the Mooragh Park team players have an extra year’s experience under their belts. All 2017 fixtures have been uploaded onto the website and you will be able to find them in the various sections. Some clubs are still to confirm their open details to the association. As soon as all of the information has been received the open pages will be created and published. For now just a list of the opens and dates is available. It was agreed by the Men’s Executive Committee that the Men’s Night League will run through September. This has allowed the League and Rayner to be spread more evenly through the season but the Mixed Team Competition can now be integrated into the calendar. Starting in May the teams entered will be split into groups of 4 and play home and away against the other teams in their group. The 6 group matches will take place between May and August with the Semi Final and Final being held on neutral greens in September. The draw and fixtures for this competition will be announced soon. There is a new Stats section on the website where all player profiles are now stored. When viewing a player profile you can now compare head to head records and see player ranking positions. The rankings are based on all competitive matches since 2012. Players profiles can still be accessed as before from merit and team pages by clicking on the players name. Clubs are still to confirm captains and the pages have been removed until this data is available. Whilst much of the information is the same you can now search directly for a player and compare head to head two players. There are also ranking tables for the Men, Ladies and Winter League – the rankings roll year to year and every competitive game played attributes to the rankings. The rankings table will be updated every couple of weeks to include recent games played. Due to the winter league introducing the doubles and some of these matches being played as 1v1 or 2v1 the individual scores cannot be imported as they break the website data structures. This is the sole reason for their being no stats or merit information from the winter league. The outcome of the title in the Manx Petroleum sponsored Outdoor Winter Bowls League was decided on Saturday when eight-time champions Unstopabowls failed to score enough points to overhaul the two sides above them, so Mooragh Lakers will be crowned only the sixth different winners in the club’s 16 years. Unstopabowls began the session knowing they could drop no more than 14 points if they were to come from behind and retain the shield they had won eight times in the previous nine campaigns. They sat out the opening fixture in which Louie’s Angels, who were trying to leapfrog Parkers, left it late to notch up their first maximum at the expense of a Castletown Cannons side that was unfortunately short of players. With both teams having had to make last minute changes, Angels next took on Unstopabowls and at this point in the proceedings stood between their opponents and Lakers, as to who was going to win the title and in turn needed 98 points themselves to move into fifth spot. Angels began well, having already had a game on the green and took a 21-9 win, this saw their opponents hanging on to their title chances by a slender margin, which soon disappeared as Angels won four games in total to record a 121 to 102 chalk success. The outcome clinched fifth spot for the victors, but in turn meant that Unstopabowls had to settle for third at best and Seven-Up completed their season in the runners-up position for the fourth consecutive year, this time behind triumphant Lakers. Match details, Angels first: Janet Monk 20, Stefan Kelly 21; Thomas Keggen 17, Dave Kelly 21; Rebecca Teare 21, Glynn Hargraves 16; Matthew Keggen 21, Kim Hargraves 9; Margaret Tasker 21, Steve Waters 20; Tricia Bull and Ken Karran 21, Ryan Hargraves and Alan Moore 15. Louie’s Angels 121 (4), Unstopabowls 102 (2). Unstopabowls then had to overcome the disappointment, along with the appalling weather, and take on a Cannons side which was battling for places with their stablemates. They had no problems and dropped just two points, whereas a total of 82 left their southern opposition waiting another 24 hours to see if they had done enough to pip Corkers in the final standings. Remaining results for Saturday, February 25: Castletown Cannons 84 (0), Louie’s Angels 126 (6); Unstopabowls 124 (5), Castletown Cannons 82 (1). The players arrived on Sunday amidst the latest storm to hit the Island, but as it was relatively dry proceedings went ahead with a set of games that saw Outsiders too strong for a Govags team, who had begun with a chance of overtaking Bowl Rollers, but needed to score above their average for this to happen. A cause not helped by them being a player down, and that opportunity was blown away with a total of 82, but they then completed their programme with a 119 to 98 victory against Corkers, which saw them finish with an average over 100, whereas their opposition still had a fixture to play to decide that battle with Cannons. The weather had taken a turn for the worse as the final clash took to the green and it was Outsiders who coped best to record a five games to one success, but Corkers did enough during the afternoon to claim the bragging rights in Castletown by a margin of 32 chalks. Results for Sunday, February 26: Outsiders 116 (5), Govags 82 (1); Govags 119 (5), Castletown Corkers 98 (1); Castletown Corkers 91 (1), Outsiders 113 (5). There were defeats for Unstopabowls leading two players in the merit list, but although he couldn’t play on Saturday due to a leg injury, Glenn Boland, one of their juniors is confirmed as the junior merit winner. Ten of the 12 team merit winners are now known and have the chance to compete in the best versus the rest challenge, which will be held on Sunday, March 19. They are Jordan Cain (Seven-Up), overall winner; Jenny Moore (Lakers), ladies winner; Lynn Bolton (Outsiders); Bernie McPhee (Parkers); Matthew Keggen (Louie’s Angels); Rosie Winckle (Bowl Rollers); Doug Allan (Govags); Tim Williams (Bits n Bobs), Tracy Moore (Corkers) and Alan Phair (Cannons). A quick look at the latest midweek round robin shows wins for Steve Parker, Joy Stephens and Alison Keggen, along with Peter Kelly, Ken Clarke and Derek Cadamy. The final four-team session of the campaign took place on Saturday in the Manx Petroleum sponsored Outdoor Winter Bowling League and featured outfits from the bottom half of the table all battling for positions. Bottom side Castletown Corkers were well up for the challenge of getting away from the spot they had occupied for quite some time, and began the afternoon with their first maximum of the winter at the expense of fellow strugglers Bits n Bobs. Also starting well were Govags, they kicked-off with victory over Erin Porters who were two places above them in the standings. Match details with Govags first: Lynda Wilson 21, Carol Kaye 14; Vicky Lloyd-West 21, Caroline Whitehead 16; John Lightfoot 21, Bernard Thackrah 17; Peter Kelly 17, Derek Cadamy 21; Doug Allan 21, Lynda Cadamy 15; Pat Robertson and Mark Kelly 13, Derek Allen and Chris Dent 21. Govags 114 (4), Erin Porters 104 (2). The westerners carried forward their good form and also racked up their first maximum to take the overall tally to 16 and in the process improved their average to over 100 points. Unfortunately opponents Bits n Bobs paid the price for being a player down once again and slipped to the base of the table after two heavy defeats. Corkers however, may have lost to Porters, but did enough to climb up the league, not just one position, but two, and are now above their stablemates Castletown Cannons, both with one outing left. Remaining results for Saturday, February 18: Castletown Corkers 126 (6), Bits n Bobs 92 (0); Erin Porters 117 (5), Castletown Corkers 94 (1); Bits n Bobs 77 (0), Govags 126 (6). A new feature of the league has been the introduction of doubles into the programme and a look at the statistics show that leaders Mooragh Lakers have won 19 of their 22 games, whilst the second and third placed sides, Seven-Up and Unstopabowls have lost just four times. Erin Porters and Louie’s Angels are the next best two, whilst at the other end of the scale are the Castletown teams with just five victories between them. Eight of the teams have yet to finish their campaign, so it will be interesting to see the final table when the schedule finishes. And with this, it seems a good time to mention two end-of-season events, starting with the club championship on Saturday, March 11, for which entries are now being taken; also the prize presentation afternoon, which will feature the annual best versus the rest challenge on Sunday, March 19. Three round robin sessions took place either side of the league games, two before and one after, the first of which had an entry of 35, played as triples and doubles. Winners of one group were Derek Allen, Marg Tasker and Steve Parker, ahead of Derek Cadamy, Roma Ware and Doug Allan; whilst in the other, the pairing of Mike Ware and Janet Monk triumphed ahead of Julie Reilly and Lil Smith. The next session saw 29 compete and had Rita Callister, Peter Kelly and Peter Hughes at the head of their gang, with second going to Roma Ware, Derek Cadamy and Tricia Bull. Whilst in the other set, played as doubles, Marg Tasker and Derek Allen were winners, with second going to Janet Monk and Lil Smith. Sunday afternoon’s entry also had triples and doubles, with the trio of Janet Monk, Mark Kelly and Vicky Lloyd-West winning, along with Jenny Moore and James Teare. Runners-up places went to Steve Parker, Thomas Keggen and Glenn Boland; whilst in the doubles it was Shirley Fargher and Glynn Hargraves.